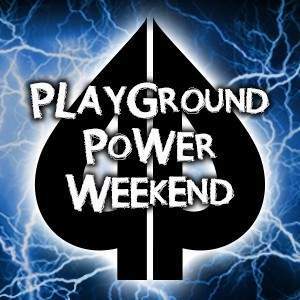 The Playground Power Weekend starts on June 15th with the Win the Button tournament plus the 1st of 4 starting flights for the All-Stars for Starlight event with $100K Guaranteed! The Power Weekend continues with 3 other events including the popular $25 Bounty, 50/50 Bounty, and the $500 + $50 NL Hold'em Deepstack Re-entry! The All-Stars for Starlight charity tournament was part of the June Playground Power Weekend, and took place from June 15th – June 19th. Through 4 starting, a total of 685 entries took place, and for each entry the $25 rake was given directly to the Starlight Children’s Foundation of Canada, a charitable organization dedicated to bringing laughter, joy and hope back into the lives of children with serious illnesses. 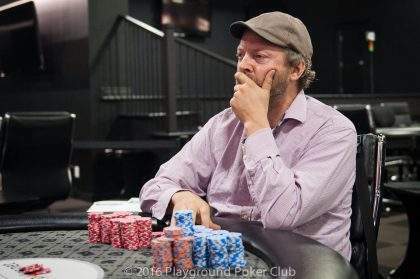 At some point near the end of Day 2, John Palmer took over the massive chip lead of the tournament, and at one point held nearly 4 times the average stack, and well over double any other opponent in the field. 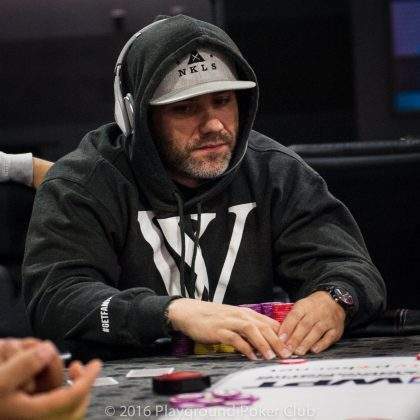 It was looking like there was no stopping him, until he wound up on the losing end of several pots once play fell to the two final tables, and ended up finishing Day 2 as one of the shorter stacks. He entered Day 3 as a short stack, however it wasn’t long before he started making his presence felt again, and managed to quickly climb the leaderboard as the field got smaller and smaller. Once play fell 4-handed, he went on a heater and doubled up into the chip lead before eliminating Mathieu Boulanger-Vaugeois in 4th and Robert Amireault in 3rd. 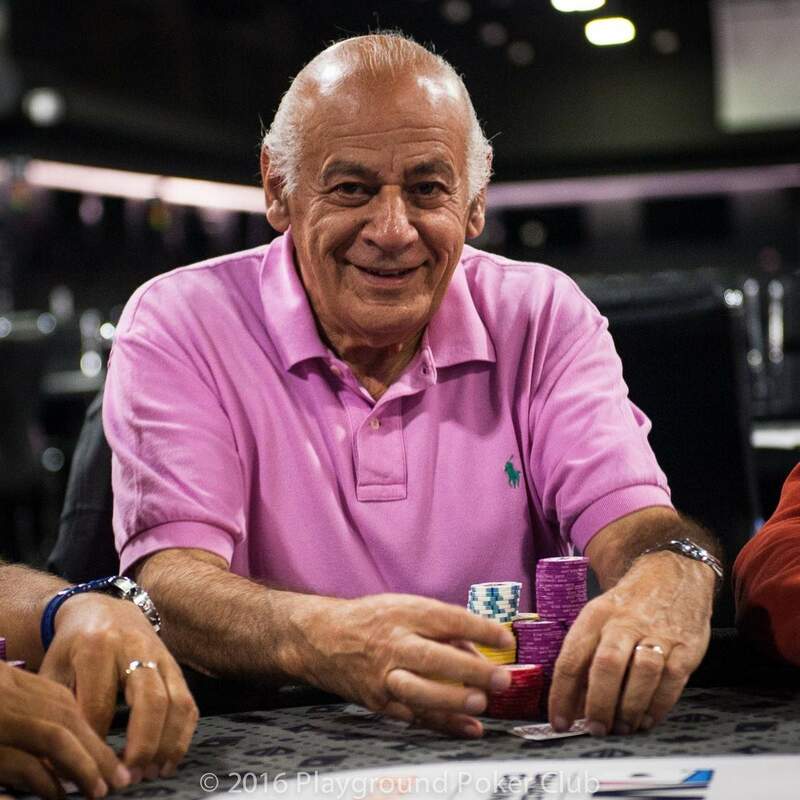 Once heads up, his opponent Prosper Azoulay did not make things easy for him, and even though John started with a 5-to-1 chip advantage, Prosper managed to even the balance after just 1 level of play. At this point, the two players decided to make a small deal, locking in $15,807 each while still leaving an extra $2,000 for the tournament champion. John lost a few chips before scoring a key double-up with > , and then went on to win it all with > in an all-in preflop situation. Prosper Azoulay began heads-up play versus John Palmer with a 5-to-1 chip deficit, however he has been battling hard the last level and has managed to even the game. In the most recent hand, he called a 280K preflop raise from the big blind, and both players checked the flop. When the turn brought the , Prosper lead for 500K, and John followed. On a river, Prosper moved all-in, forcing John into the tank. A few minutes passed before Prosper called “time” on his opponent, and with only a few seconds left before his hand was declared dead, John announced the call. Prospered tabled for a full-house, and slid forward 2.36M to be doubled up. Once the hand was over, John’s lead was cut down to just 300K, meaning both players were basically even stacked. 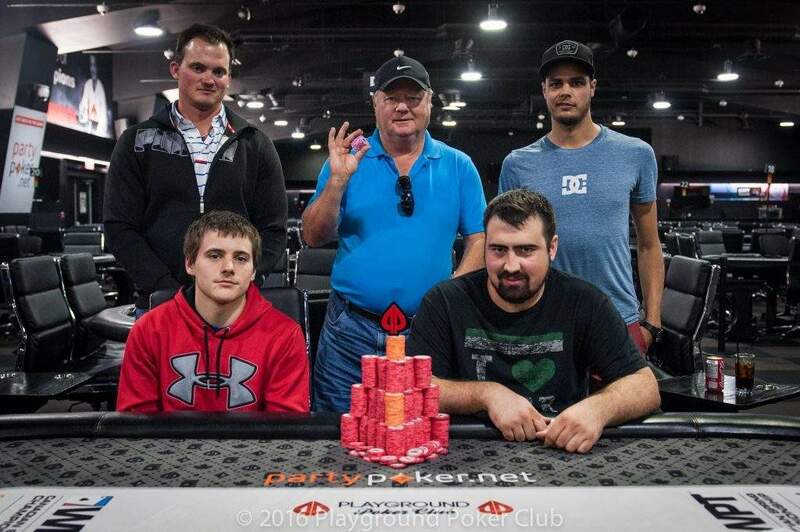 They decided to make a deal, locking in $15,807 each all the while leaving an extra $2,000 for the eventual winner. The All-Stars for Starlight Event has reached heads-up play, and it is John Palmer versus Prosper Azoulay! John currently holds a little more than a 5-to-1 chip lead, however in this game of poker, nothing is ever set in stone. 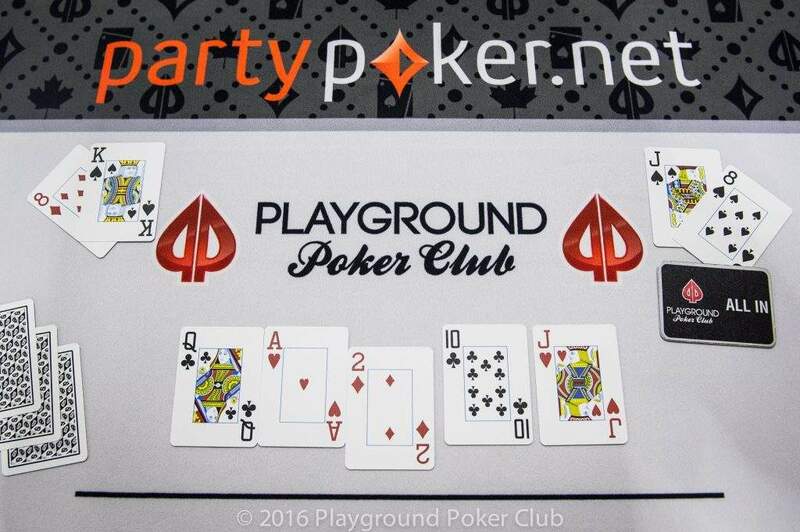 The first event in this June Playground Power Weekend has come to an end as the final 6 players in the tournament chose to divide the remaining prize pool via ICM chop. Unlike in most of the larger festivals we host, there is no trophy nor any amount that must be reserved for an eventual champion, so when the players come to such a deal, play ceases immediately. Just 3 of the final 6 players chose to appear in the Winner’s photo. 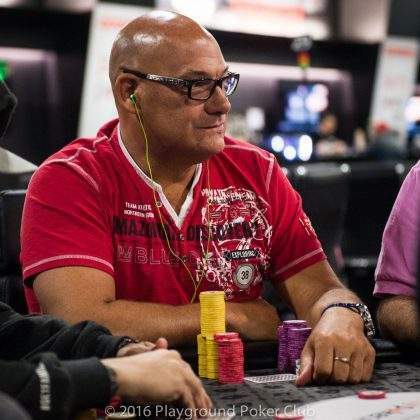 Giovanni Petrella and Daniel Gates have been needling each other – in a very friendly fashion – for some time today, and when the final table came together Giovanni asked the blogging team to confirm the he had won this very event the last time it was held – in response to some needle or other from Daniel. We were able to confirm that Giovanni was the victor in the version of this event held during the Playground 5th Anniversary Series… but just a few seconds later, we also confirmed that he won’t repeat his win… Giovanni has been eliminated in 7th place. 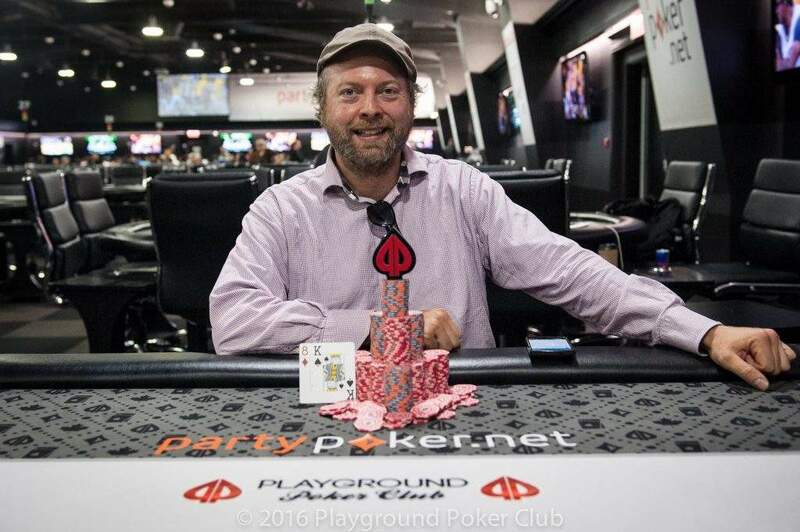 The $500 + $50 Deepstack Re-entry saw a total of 213 entries over 2 starting flights, of which 24 players were awarded a cash prize. 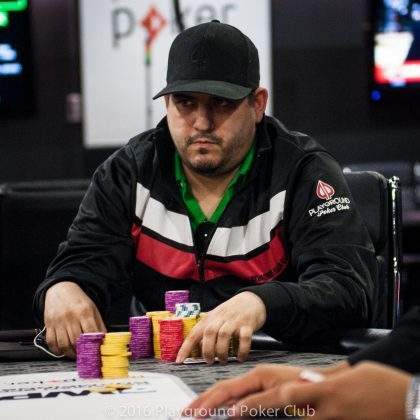 Once Alex Sauriol was eliminated in 4th place, the final 3 players decided to leave an extra $1,500 for the eventual tournament champion so they can play down to a winner while dividing the remaining prize pool via ICM chop. These numbers are reflected in the final payout table below. The 50/50 Bounty attracted a total of 171 entries, and although there was no lack of action throughout the night, the pace greatly slowed down once the final table was reached. After playing 8-handed for nearly 3 full levels, where the short stack somehow always found a way to survive, the finalists of the 50/50 Bounty Event decided to take a look at the ICM chop numbers. Everyone was pleased with what they were being offered, and they shook on the deal. Below is a look at the prizes each player was awarded. Note that these figures do not include the bounty chips that were amassed throughout the night. Once players returned from the first break on final table, action picked up and 3 quick eliminations occurred. The first to go was Mathieu Brunet, who fell to the hands of Joey Boczek. Mathieu opened from under the gun, and Vasilios came along for the ride. Joey then 3-bet all-in from the big blind, and found calls from both table-opponents. 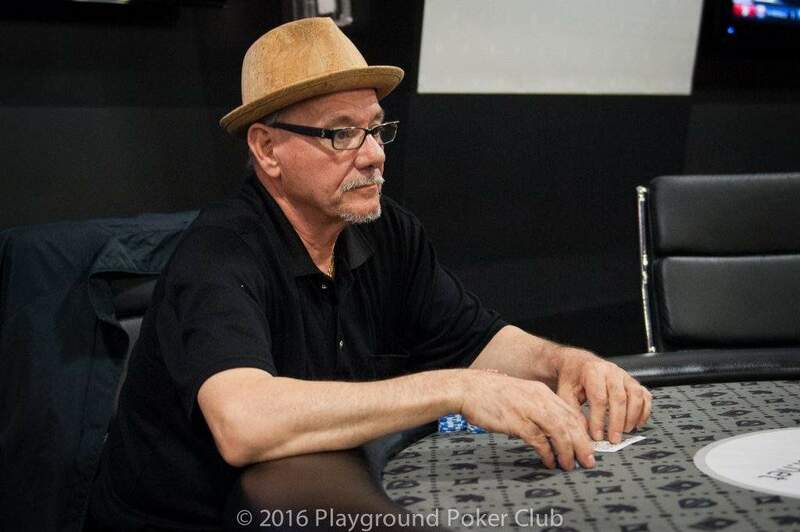 He tabled , and went on to flop a set to score a knockout and nearly triple his stack. Moments later, Vasilios was gunning for another double elimination as he called the all-ins of Mathieu Guerard and Charan Malhotra. His AK overcame the pocket tens of Mathieu and the pocket jacks of Charan to bring the field down to 5 players. The final 5 decided to look at the ICM figures, and after some negotiating, they shook hands on the deal to bring this event to a close. Congratulations to the winners of the $25 Bounty Event! Mathieu Brunet raised to 26,000 from under the gun, and Vasilios Sklavounos came along for the ride next to act. Action folded around to Joey Boczek in the big blind, who pulled the trigger for just over 125,000. Mathieu quickly made the call for his stack, and Vasilios went into the tank. He opted to call for the double knockout, and all three players tabled their hands. Joey flopped a set on the to win himself a massive pot, collecting a $25 bounty along the way. Moments later, Vasilios was faced with two all-ins when he peeled AK in the hole. He made the call, and was once again looking to score himself a double knockout. 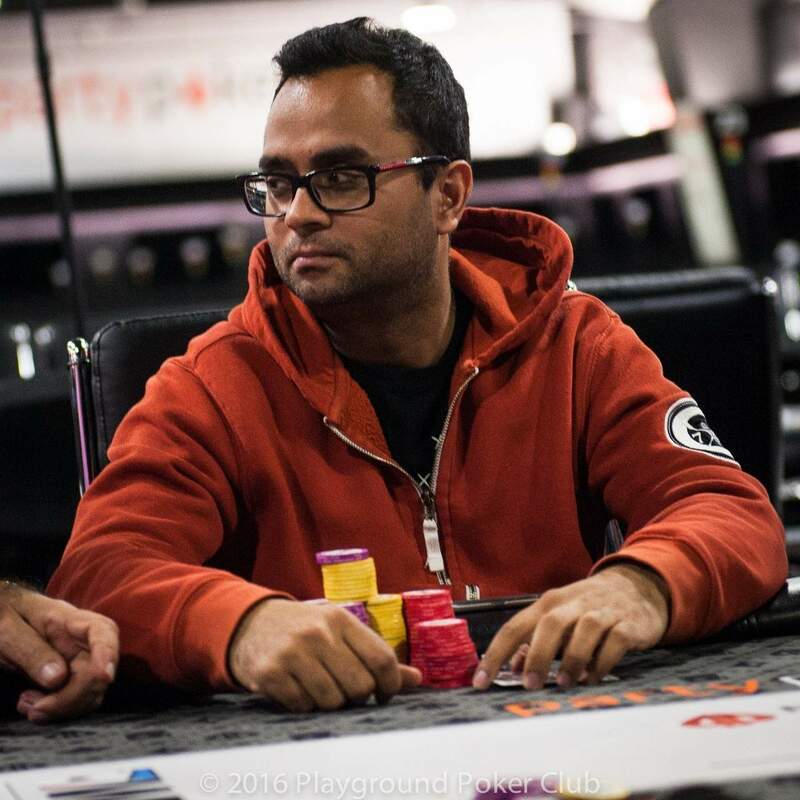 He was facing the pocket tens of Mathieu Guerard and the pocket jacks of Charan Malhotra, and managed to defeat both players to bring the field down to 5 players, collecting two $25 bounty chips in the process.